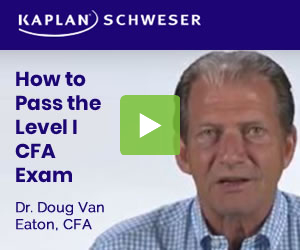 Has anyone used Mark Meldrum’s materials/videos to study CFA L1? If so, can you please share your experience? I am using his videos for L1. I am finding those very helpful. Clear cut explanation about logic rather than push for memorizing any formula. Can anyone share the link to the video, as I cannot find his videos on specific topics. There are only general vidoes explaining the exam in particular in YouTube. I used his videos, and I have to say probably wouldn’t have passed without him! I personally like video learning so it was a great way to fit a few extra hours of studying (watched them while having lunch at work). Also he explains topics in a very intuitive way great for the more complex topics that are hard to grasp from textbooks. Using him for level 2 as well and I like him a lot! The free L1 videos are very good. I rely on those, especially for the Quants.